Thank you for your contributions and innovations. You inspired us with your vision and imagination. You are our hero and guru. You changed our world. We will miss you. May you rest in peace. 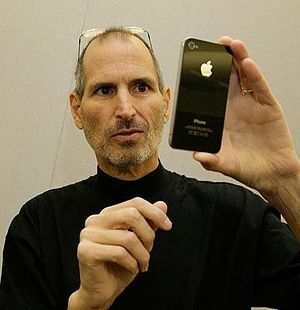 I have included some links to other tributes to, and articles about Steve Jobs. Due to the amazing number of fabulous articles written about Steve Jobs, I have and will continue to update this post and urge you to make me aware of any particularly good articles. In our MBA program we often studied Steve Jobs and his approach to leadership and innovation. It will be interesting to see how Apple does without him. He has certainly left them in an excellent place. I like the idea of Steve living on in our hearts and minds by thinking about WWSD (What would Steve do?) when considering strategy, resolving issues and looking for ways to improve our products and services.